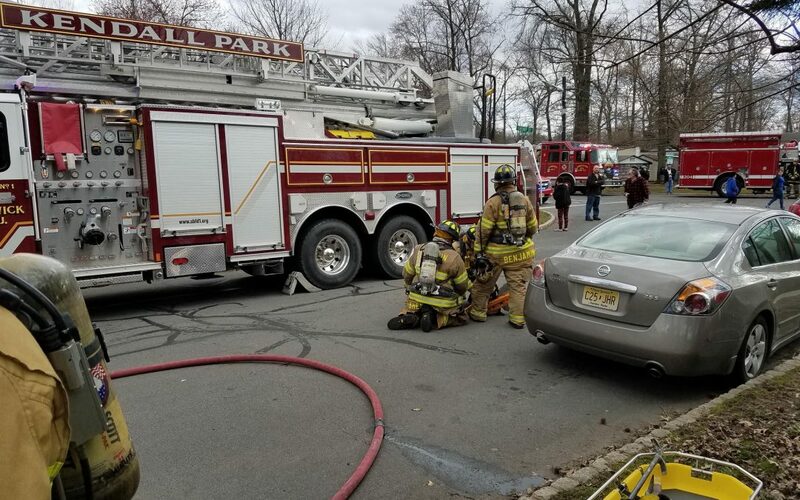 On Easter Sunday at 15:15, we were dispatched on a township general alarm to assist the Kendall Park Fire Company for a structure fire on Cherry Street. Chief 240, Deputy Chief 250, Engine #4 (244) and Rescue #2 (242) made the response. Our crew was assigned R.I.C. operations.